No truer dedication to the dental profession can be found. With more than 38 years in the dental field, Dr. Blossfeld comes to you with a vast amount of knowledge and experience. In fact, she often jokes that dentistry was her destiny - at 4 years old, she told her family doctor that she was "going to be a dentist when she grew up". Never has her choice of career faltered. It was in high school she began working as a dental assistant and her love of the profession only grew! Daughter of German immigrants and native to Michigan, Dr. Blossfeld graduated with a degree in biology from the University of Michigan in 1986. She continued dental assisting throughout college and full-time afterward while saving for dental school. In 1992, she left family and friends behind and moved to Oklahoma to begin her journey to OU College of Dentistry. Hard work, commitment and a few tears soon paid off. She was the recipient of many prestigious awards and honors and graduated with "outstanding distinction" as #1 in her class in 1996. Although her family still lived at the time in Michigan and Florida, Dr. Blossfeld has always felt that her "roots were meant to be planted in Oklahoma". Following graduation from dental school and one year of an Advanced General Dentistry Residency, Dr. Blossfeld opened her practice doors in Oklahoma City - building her practice with compassion one patient at a time. In the summer of 2000, she relocated to Edmond and created the "practice home" she has today. She quotes: "I have never wanted to be one of those high-volume practices. I do not believe in herding patients in and out like cattle. Each patient is given the commitment of my time and dedication to meet their oral health needs. I am my own worst critic - and will only provide the highest of quality that I know how to give. I am different in that my office "takes the time to care' and each patient becomes an extended part of my family". Outside of dentistry, her passions in life include her faith, her husband, their beautiful daughter and of course their dog. She feels she is blessed each day to be able to enjoy life, have a loving family and help create a more beautiful world one smile at a time! Maureen is the Insurance expert of the Blossfeld Family Dentistry team. She comes to us after a move to Oklahoma from Houston, Texas. She has several years of dental experience having worked in both general dentistry and orthodontics. Maureen is very passionate about her patients and their experience in the office. She wants everyone to feel like they are family and always welcome. Should you have any questions about insurance or financials, Maureen is more than happy to try and answer any questions you may have. She relocated to Oklahoma with her loving husband, Kevin and the two most adorable puppies, Hershey and Daisy! She enjoys spending time with her daughters, Meagan and Jenna, while they begin their independent lives. In her free time, Maureen loves to go riding on their Harley, get her hands dirty while gardening, exploring new recipes, and spending time with family and friends! Lindsay is the newest member to our team. She moved to Oklahoma in 2012 from Washington D.C., and has 17 years experience as a dental assistant. She is passionate about her job and says her #1 priority is making patients feel comfortable. She is always eager to learn new things and strives to be the best! Lindsay says the secret to her happiness is being married to her best friend, Ryan. They have a 2 year old son, Rowan, and she loves her 2 stepchildren, Kayden and Reed. To complete their family, they have dogs Charley and Dodger, as well as a cat named Trouble who is true to her name! In her free time, Lindsay enjoys being outside as much as possible, whether it's skiing or lounging on the beach! 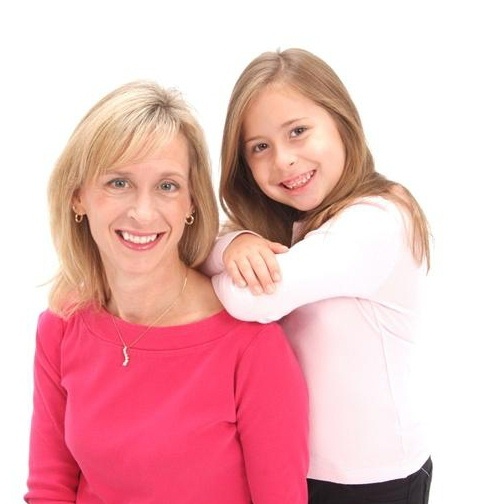 Kay comes to our practice with 39 years of experience as a dental hygienist. She was born and raised in Oklahoma City, attending the Oklahoma City Public Schools and Heritage Hall Upper School, where she graduated in 1975. During her middle school years she decided to go into some kind of medical field when she "grew up". By high school, she had chosen dental hygiene as her career choice and never looked back. She attended Oklahoma State University from 1975-1977 and then received a Bachelor of Science of Dental Hygiene degree from the OU College of Dentistry in 1979. The Summer of 1978, between dental hygiene school years, she married her high school sweetheart, John Denneny, who is an attorney. Living in Edmond since 1989, they raised three amazing children: Eric, Kim, and Brian. Kay is involved in PEO, a philanthropic educational organization for women, and is presiding president for her local chapter. She loves to travel, read. watch movies, root for OSU, and dance. Just this just this year she has learned to Salsa dance and is learning to play the guitar. Her faith in God is most important. She is a member of First Presbyterian Church of Edmond, where she serves through her involvement in the music department. She helps with youth bells, plays in the adult bell choir and sings in the contemporary choir. She is also an ordained Elder and has worked with the youth for over a decade in numerous capacities, ranging from trip sponsor to a Sunday school teacher. Kay believes every day is a gift from God. She feels truly blessed with a wonderful family, an outstanding Edmond community and now with a dental office that shares her goal of providing the highest quality of caring dentistry. "I love what I do and can't imagine doing anything else". She is excited to be a member of the "Blosse Posse".